Keeping your schedule updated is important to avoid students showing up to find a closed door. 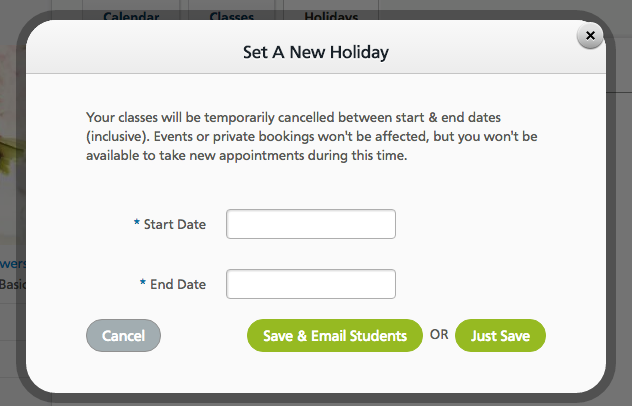 So if you're closing shop for a day or longer, you can use holidays to cancel your classes for a time period. 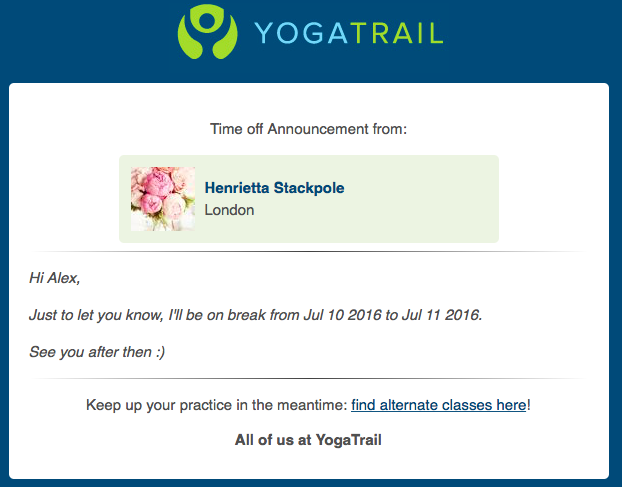 All the classes during that time will show as cancelled, and you can also choose to notify your followers (optional). 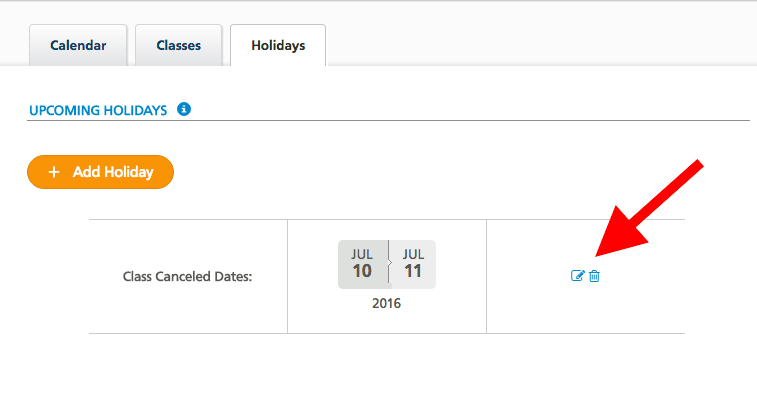 Your holiday period will then be shown on that page and any classes you have set during that period will show as cancelled. You can create as many holidays as you want!